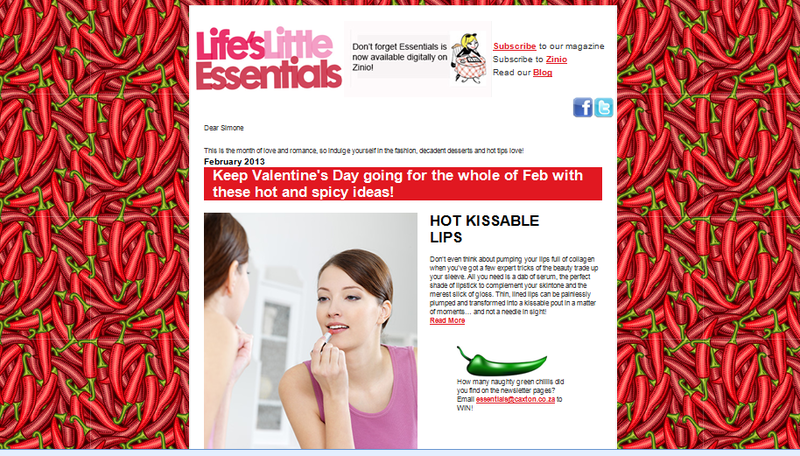 Why not subscribe to our fab monthly Essentials magazine newsletter? This month we’re talking about spicing things up with chocolate, red-hot fashion, dating again after a break-up, keeping a relationship hot and more. To sign up, visit http://bit.ly/QUYcqw. This entry was posted in Essentials Newsletter and tagged Essentials, newsletter on February 14, 2013 by simonewb.